Shop online for 7 hobby-express hobby arts and crafts at discounts up to 20%. This is the Pine-Pro Bird Feeder Kit from Hobby Express. Suitable for Ages 8 & Older. 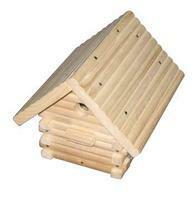 This is the Log Cabin Bird House Kit from Hobby Express. Suitable for Ages 8 & Older. 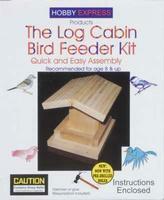 This is the Log Cabin Bird Feeder Kit from Hobby Express. Suitable for Ages 8 & Older. 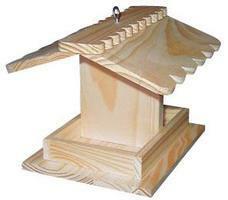 Build a Pagoda Birdhouse with this Wood Construction Kit from Hobby Express. Suitable for Ages 8 & Older. 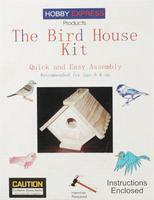 This is the Hobby Express Chalet Bird House Kit Suitable for Ages 8 & Older. 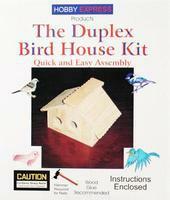 This is the Pine-Pro Duplex Bird House Kit from Hobby Express. Suitable for Ages 8 & Older.